This hat is One Size Fits Most with colors as shown. 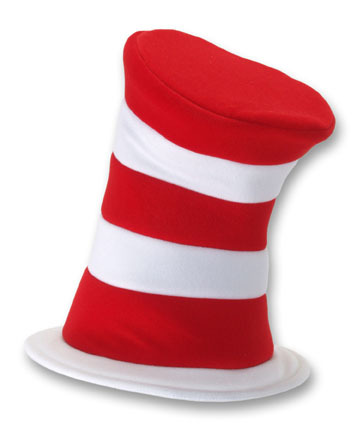 This is the Official Dr. Seuss Licensed "Cat in the Hat" hat. About 12 inches tall and a 2 inch wide brim.